With the transparency starting to improve again after M44 I noticed that not far away was the more condensed open cluster M67, also in Cancer. To my surprise I found that I hadn't ever imaged this attractive group before so I was soon up and running again on another set of subs. This time the transparency held and I acquired 15 before calling time. I was thinking of another spell of aurora hunting but cloud was fast appearing and a cup of soup was very appealing. 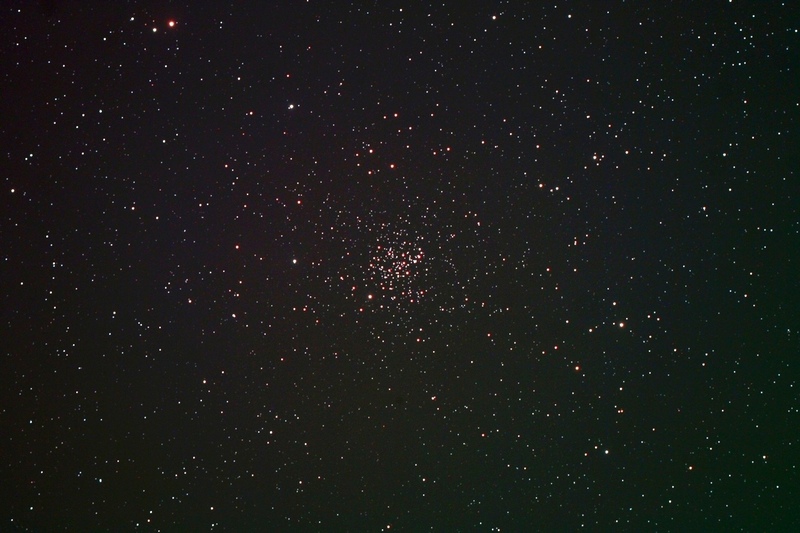 M67 contains a good number of red giants and is one of the closest older clusters. Details: Megrez 88 apo. 15 x 5 minute exposures @ iso1600 with CLS in DSS, FIV, CS2 & XAT.